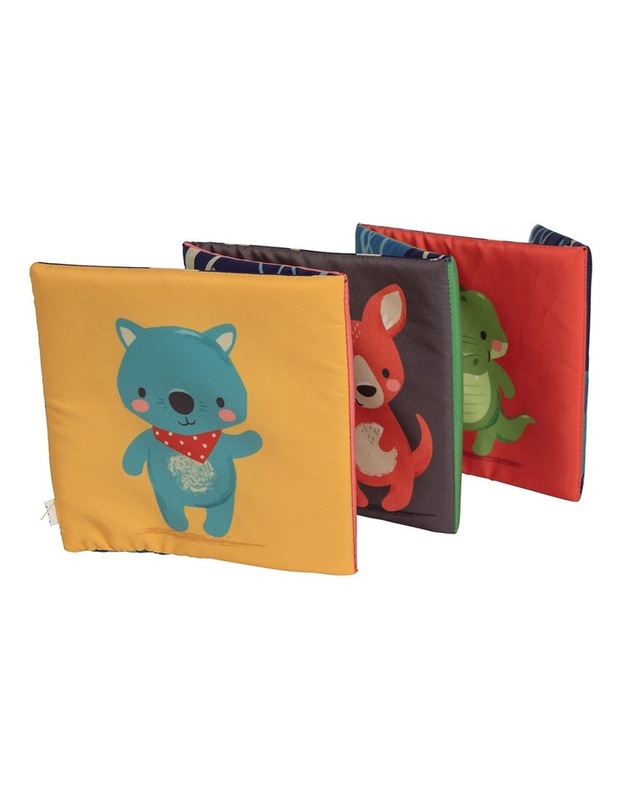 This super soft cloth book introduces the very youngest babies to our Gumtree Buddies family. 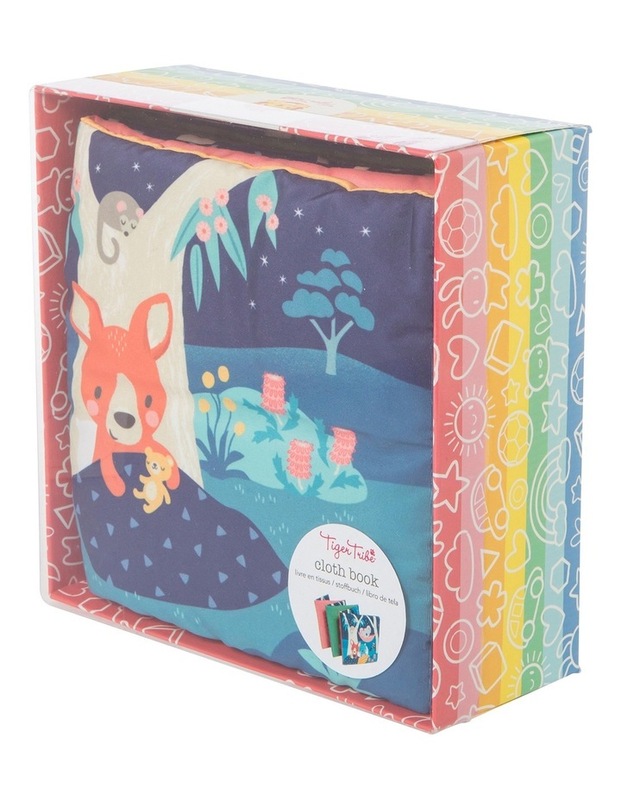 From tummy time to highchair fun, our Cloth Book is the ideal first book for babies. Six accordion pages fold out to feature bright illustrations of each Gumtree Buddie (on contrasting background colours) on one side, and a delightful night time camping narrative on the other. The ideal companion for daily routines, this wordless picture book is filled with new and familiar objects to give your baby something engaging to look at. 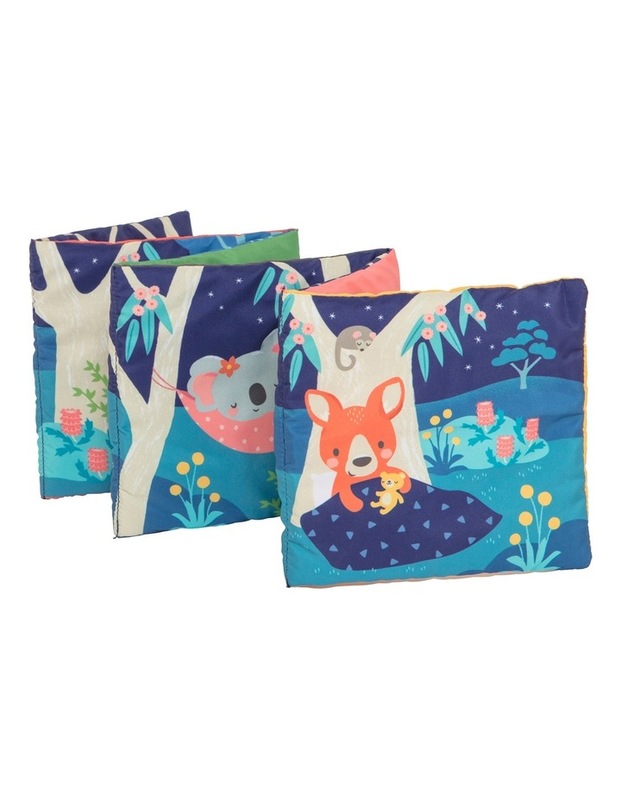 The Gumtree Buddies Cloth Book helps babies and toddlers develop their visual language skills. Super practical for the smallest of folk the book is lightweight, can be chewed (and it will be!) and is easily washable. Fabric and print used are baby safe. Single page 15.5 x 15.5cm. Suitable age 0 . Gumtree Buddies are six curious young Australian animal friends, exploring a world filled with all the things that active toddlers love to do. 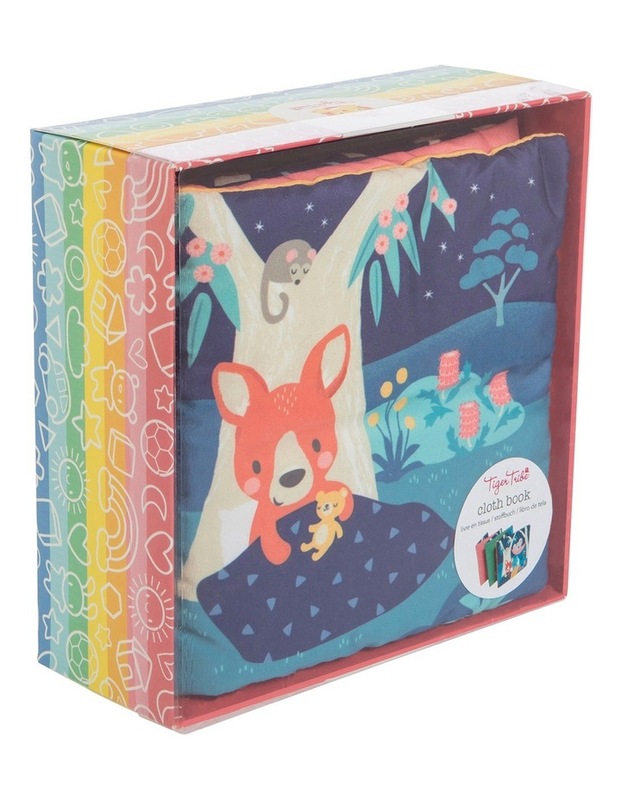 Help your little buddies connect with this engaging new range, designed and developed by Tiger Tribe.